Whether you grow indoors or outdoors topping your cannabis plants helps to produce a bigger and better yield, which is every grower’s primary goal. The first thing to understand is that topping is an exact cut at the node, and while that sounds easy, the timing of topping is critical. Topping forces the plant to grow laterally rather than vertically, but when to do so depends on soil health, plant health, lighting, size and age of the plant, and the growth goals. 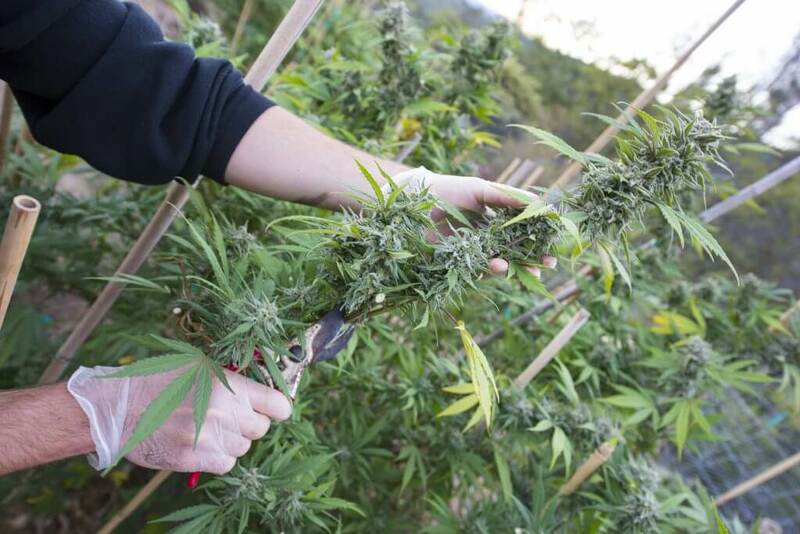 If you are new to cannabis cultivation, topping cannabis plants is a vital step to maximize the overall quality of the yield. It is a tool that helps to control the overall shape of the plant – by redirecting the growing tendency from vertical to lateral. The effect is that the supporting branches develop as thicker and stronger cola. Topping, however, is not the only factor that goes into producing quality and sizable yields. Other factors include soil health, watering, and light. All plants have stages to their life cycle. So, whether we are discussing an annual plant or a perennial plant, understanding the plant’s lifecycle is essential, especially if you want to control the results of each stage of growth. The key to managing a plant during each cycle has a lot to do with how much light the plant receives. The vegetative cycle, for example, can last from two weeks to six months. That is a critical consideration because topping a cannabis plant is a traumatic experience for the plant. Therefore you want to top plants when that plant is at it’s healthiest – giving it additional energy into changing from growing vertically into growing laterally. That also means that soil health needs to be ideal as topping increases the growing demands for the plant. The first thing you need to understand about topping is that the plant will need additional nitrogen to fuel the developments of additional cola. Healthy – What does that mean? The short answer here is actively growing. However, understand that plant health has a lot to do with watering cycles, light, and soil. Lush healthy plants require all three of these ingredients to produce an optimum yield. Germination – generally 2-3 days, depending upon species type, mutations, etc. This cycle can also be as short as eight hours if growing conditions are optimum – good soil, proper watering. 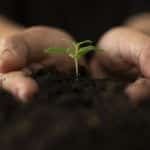 Seedling – generally 1-2 weeks (though can be stretched longer). Vegetative – generally 2-6 weeks, based on pot size. When to top a cannabis plant is a big question and it does not always have a perfect answer. This is because species vary, growing environments vary, and of course, there could be mutations – planned or accidental. Those factors all weigh in to determine “when” is the best time to top cannabis. However, the topping is also planned, and you manage a lot of what your plants do by controlling soil, water, and light. You don’t want to top a cannabis plant too soon. The plant must be able to handle the pruning. A seedling can range from 1-2 weeks old, and you would not want to top the plant at week three. It would likely not survive, even though at week three, it should be in the vegetative stage of its development. A good rule of thumb is to count the nodes. A node is a junction on the stem where branches grow from the main stem, and cannabis plants tend to node in pairs. The spacing between nodes is called the “internode.” The internode is the stem that grows from one node to the next. Indica plants tend to have very short internodes, as these plants are short and squat. Sativa plants, which are taller, have a longer internode. For topping cannabis, you want to have at least four nodes and preferably six – eight nodes. This is a general rule. Topping at four nodes is riskier than topping at six- to- eight nodes as plant health improves as the plant grows. Counting the Nodes is one rule of thumb, but also consider topping when you change the plants light ratio. The shorter the light cycle, the closer the plant moves toward flowering or seeding. You certainly do not want to top a cannabis plant during the flowering stage. By controlling the light, you can extend the vegetative stage of growth. Generally when the lighting gets to 12 hours of sunlight and 12 hours of darkness, the plant goes into flowering mode, as that signals the plant that the season is changing. In the vegetative stage, the plant is putting on height and pouring energy into the main stem. When you top a cannabis plant, the energy that it feeds into growth immediately shifts into healing, and the plant goes into recovery mode. Plants have a competitive need for resources, even though these plants are grown in a controlled environment, you are still dealing with the genetics of wild plants. It is, in short, a battle for sunlight. When you top at the terminal bud, the lower node suddenly has access to light and from that spot emerge additional cola. You have first stopped the upward momentum of the plant which is now forced to grow laterally. 1. The plant’s focus changes from growing a single cola into producing multiple colas. This occurs because the nodes beneath the topping point now have access to plenty of light, especially with indoor growing technology. You can control this through quality soil and additional water – two ingredients that cannabis needs to produce robust cola. 2. The plant immediately goes into a recovery mode. Having the top portion of the terminal bud removed is traumatic. Recovery means growth so to compensate for the loss, the plant begins to grow and as it does, more cola emerges from the node just below the topping point. The first thing to look at is plant health. A plant that is not getting enough light might have eight nodes but not be in excellent shape. Plants need to be robust, the main stem needs to be developing and the overall growth of the plant is even. Soil Health is another consideration. As mentioned, topping is stressful for the plant which is why 1) plant health needs to be optimal before topping, and 2) soil health needs to be optimal after topping. The plant will need more nutrients to spur lateral growth. Growing uses energy, so the plant must have access to good soil energy, which in this case is nitrogen. You can do yourself and your garden a favor by starting off with good quality soil and providing adequate water throughout the growing cycle. Also, plan each step and understand that the differences among species of cannabis will require different timing for topping. This is not just indica vs. sativa. The requirements will vary from one strain of cannabis to the next. It is helpful to keep a growing journal so that you can build wisdom as you grow. Contact us today to get your hands on the best cannabis soil around! Do we need led grow lights to stimulate the growth? If yes, what type and price? Thanks. Do you still need to ph the water while using this soil? Thanks for your valuable opinion. Ok I will try sign up.. Thanks, Matt! We appreciate your positive feedback and we are happy that you are pleased with your SoHum Soil results!